This is an audio file of the song 'Jitu' by Pharoah Sanders from the album Shukuru. 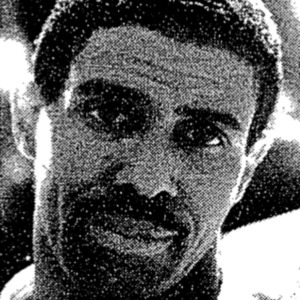 The song was named after Brooklyn CORE member Jitu Weusi. 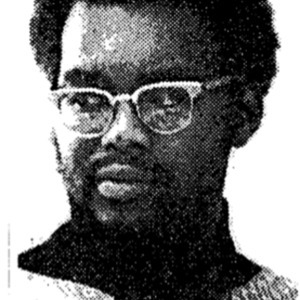 The photo* is of Weusi when he was still known as Leslie Campbell. 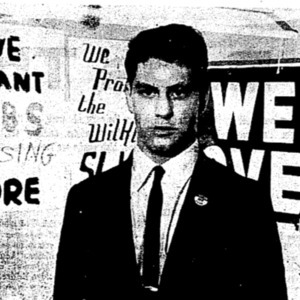 This is an audio clip of Brooklyn CORE member Arnie Goldwag speaking about working with Brooklyn CORE's Jitu Weusi after Goldwag had been pushed out of Brooklyn CORE because he was White. 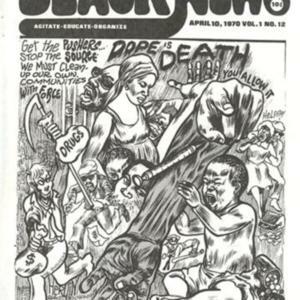 This is the cover to the April 10, 1970 issue of Black News done by Brooklyn CORE member Jim 'Seitu' Dyson. 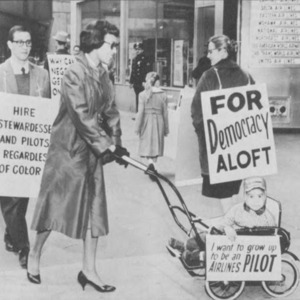 The illustration depicts the growing narcotics problem in the Black community at the time. 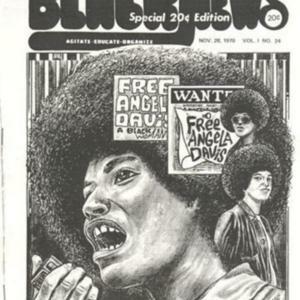 This is the cover to the Nov. 20, 1970 issue of Black News done by Brooklyn CORE member Jim 'Seitu' Dyson. 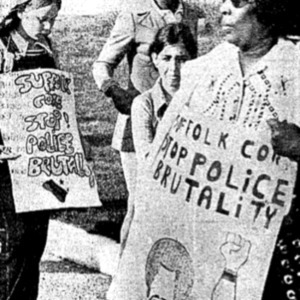 The illustration is of Angela Davis of the Black Panther Party. This is a photo of Brooklyn CORE member Jim 'Seitu' Dyson. 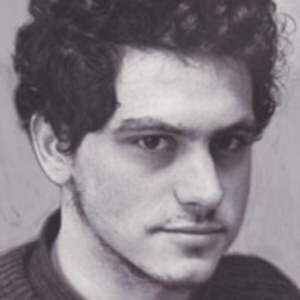 He was one of the many Brooklyn CORE members that also were members of the EAST. 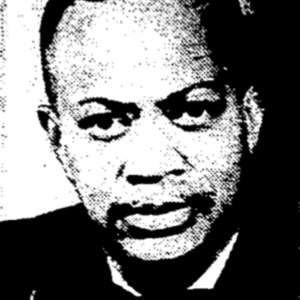 A graphic artist, he did the majority of the covers for the EAST's newspaper, Black News.